In recent times, you might have experienced a situation where your iPhone won’t turn off even after a number of attempts. It may be an iPhone that you don’t need any more but you want to erase all your data before giving it away or reselling it. In the quest to resolve this, it is essential to study the possible reasons that may be preventing your iPhone from not turning on and the possible ways to erase iPhone that won’t turn on. The issue ranges from charging difficulties, corrupt software programs. However, it can even result from a hardware issue. Therefore, irrespective of the cause, it is essential to follow a dedicated solution for your iPhone not turning on. All you have to do is to simply follow the guides in this article and see how you can find a lasting solution before you try to erase iPhone that won’t turn on. If the battery of your iPhone is totally drained, you may see any indication of recharging until after several minutes from the time you plugged it with an energy source. When you plug it in, and you observed that the display is blank, you are advised to wait a while in order to see if the charging icon will appear. 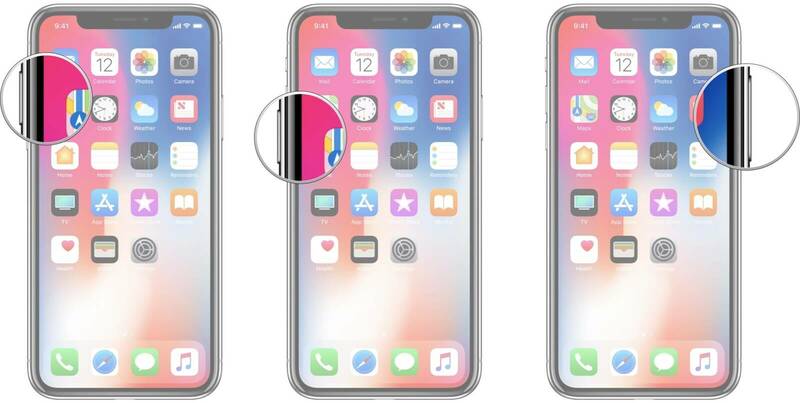 Otherwise, if you notice the “red filler” of the battery icon flashes up to three consecutive times, and the screen appears blank immediately, it implies that your iPhone isn’t receiving enough power to charge. Try to recharge your iPhone to see if it can work. If your device does not charge, use another cable or another power outlet. If it still has nothing change, then try another method before you find the solutions to erase iPhone that won’t turn on. To force restart your iPhone may be helpful to turn on your iPhone. There are many reasons that your iPhone won’t turn on. Most of times, it happens due to a malware attack or a malfunctioning driver. However, you can get a quick and easy fix to this problem by forcing restart an iPhone. To force restart your iPhone, please following the instructions below. 1. Holding the Power (Sleep/Wake) button. 2. Press the Home button. 3. Keep pressing both the button for at least 10 seconds. 4. 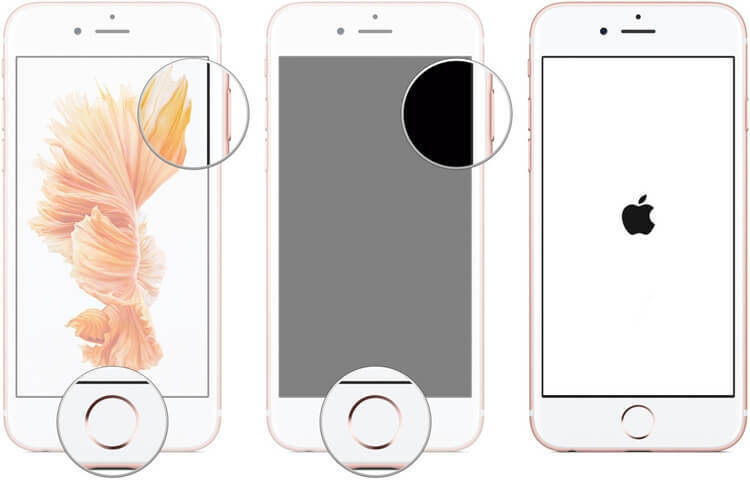 Let go of the buttons as the Apple logo will appear on the screen. 1. Press the Power button on your device. 3. Keep holding both the buttons for another 10 seconds. 1. Press Volume Up button. 2. Press Volume Down button. 3. Press-and-hold Side button for about 10 seconds. 4. Release Side button when you see the Apple boot screen. When there are signs that nothing else is working on your iPhone, recovery mode might just be the solution to get things going again. The process is painful but not complicated. However, knowing how to switch to recovery mode is essential because you may need to do that someday. If you can put your device into Recovery mode then you find the solution to erase iPhone that won’t turn on. 1. Using the latest version of iTuneson your computer. 2. Connect your device to your computer and open iTunes. On iPhone 8 and later: Press and quickly release the Volume Up button then Volume Down button. Then, press and hold the Side button until you see the connect to iTunes screen. 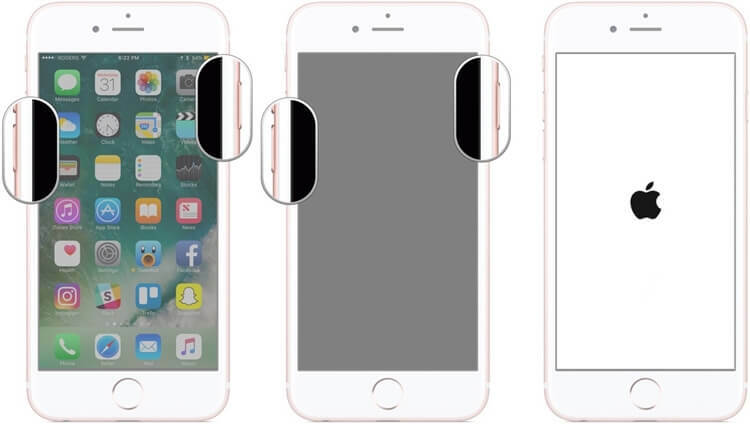 On an iPhone 7 or 7 Plus: Press and hold the Side and Volume Down buttons at the same time. Keep holding them until you see connect to iTunes screen. 4. When you see the option to Restore or Update, choose Update. iTunes will try to reinstall iOS without erasing your data. If the above methods can’t help you erase iPhone that won’t turn on, don’t worry, there's still a way to erase your iPhone without turning it on. Using an iPhone eraser tool like iMyFone LockWiper could be solve the issue quickly. Having your iPhone wiped off is simple and can be done when the need arises. For instance, if you’re at the point of selling or donating your device, wiping it and erasing all files is one of the ways to eliminate sensitive information that shouldn’t be accessed by others. Its one-touch feature allows you to erase iPhone that won’t turn on without any hassle. It will erase all the data on your iPhone and install the latest iOS version on it. It can also erase the current iCloud account even without password. It also supports to erase iPhone with broken screen, disabled and stuck on the Apple logo or black screen. It supports all iOS version and models even the latest iPhone series. It can help you unlock the passcode on it if you forgot the passcode on the phone. 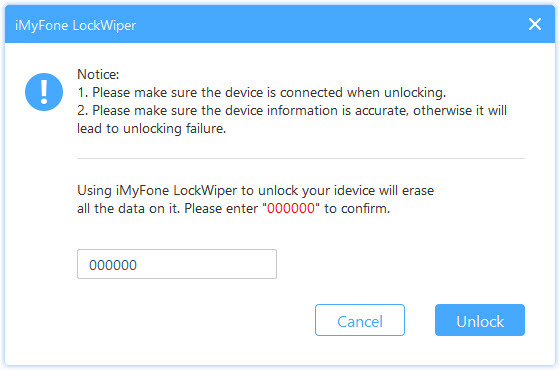 Step 1: Launch iMyFone LockWiper and Click on the “Start” button to begin with the wiping and erasing process. Step 2: Connect your device. 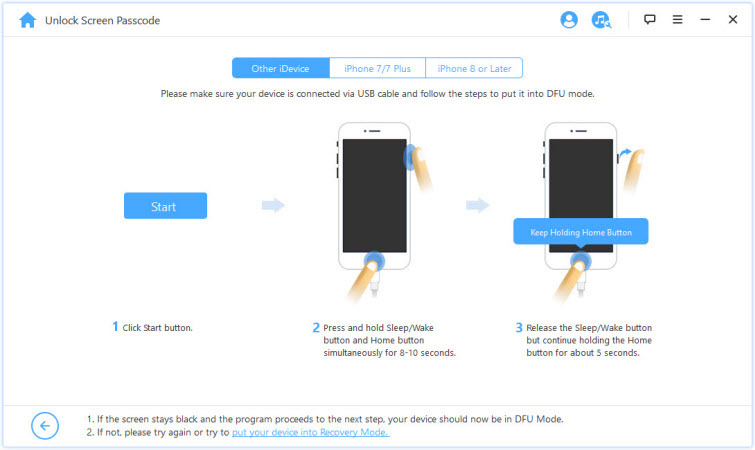 Choose the model of your device on the top bar and put your device into DFU or Recovery Mode. 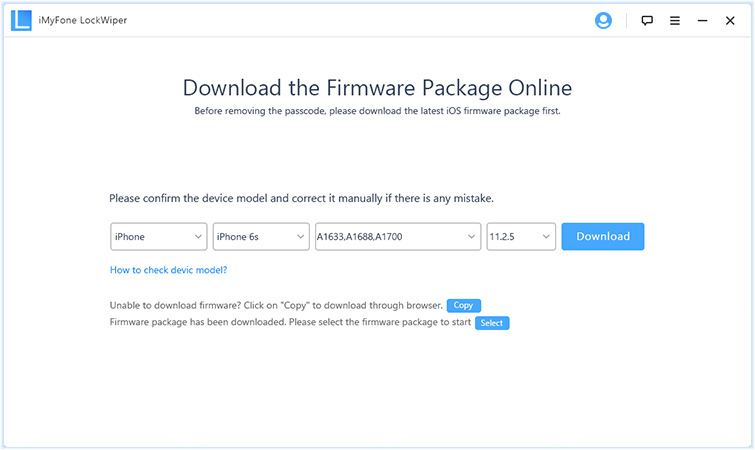 Step 3: Check if the auto-detected device is the same with the model of your device, and then click the “Download” the firmware package. 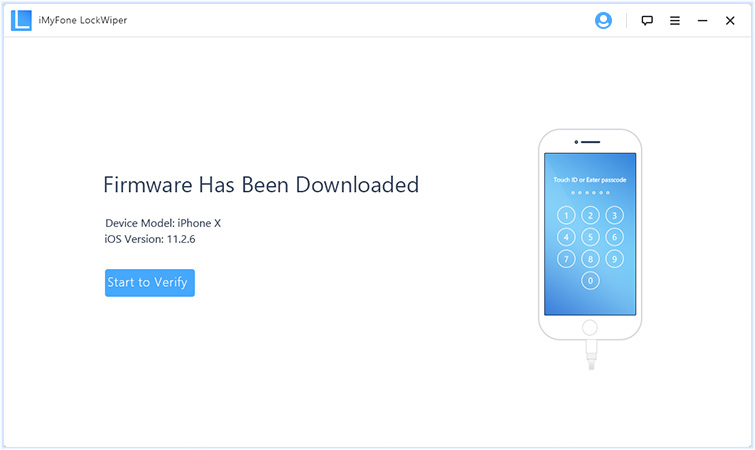 Step 4: During the process of downloading the software, click “Start to Verify” and it the software will be examined with your device. 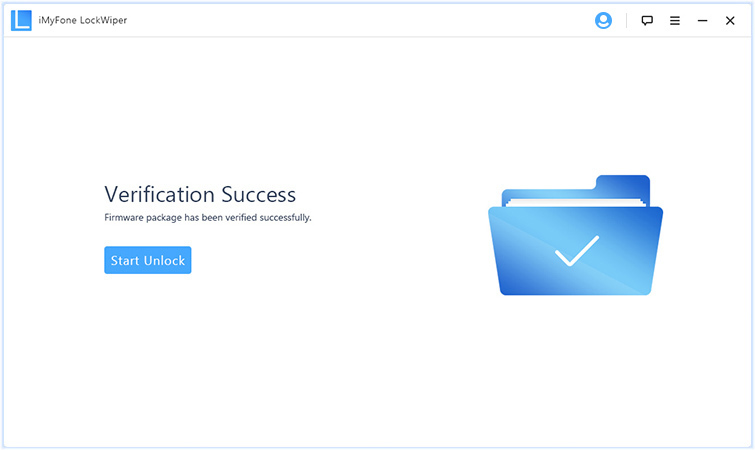 Step 5: Click the “Start Unlock” button to begin the unlocking and erasing process. Step 6: Enter “000000” into the box to confirm the process. In conclusion, you do not need to worry anymore if you are having issues with your iPhone. All that is required is to take all the above guides on how to erase iPhone that won’t turn on. 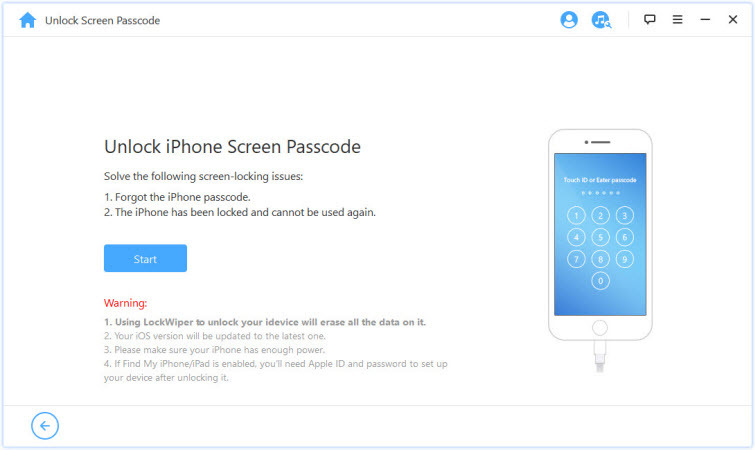 However, if you would love to turn on your iPhone and erase sensitive information, you can make use of the tool iMyFone LockWiper and it will be done with a few clicks.